Wendy Naugle of the Colorado Deparmtnet of Public Health and Enviroment shows Eagle Mine Tour participants before photos of what the Rex Flats area looked like prior to cleanup efforts at the site. The Eagle River Watershed Council and the Vail Symposium hosted the tour and a specila presentation about the Eagle Mine this week. The U.S. Environmental Protection Agency and the Colorado Department of Public Health and Environment have released proposed plans for the next planned environmental cleanup at the Eagle Mine Superfund Site and are soliciting public comment on the proposals. GILMAN — I have been writing about the Eagle Mine for more than 30 years, and I have yet to step inside it. This week, I came within feet of entering mine, though, during a special tour organized by the Eagle River Watershed Council and the Vail Symposium. Therein lies the bottom line goal for all of the work that’s happened at the Eagle Mine during the past three decades. The Eagle Mine has had a profound impact on Eagle County, first as an economic driver and later as an EPA Superfund site. Mining activity in the area dates back to the 1870s when prospectors searched for gold and silver and used roasting and magnetic separation in their efforts. In 1912, the Empire Zinc Co. began consolidating mining claims into what is now the Eagle Mine. The New Jersey Zinc Co. acquired the property in 1917 and operated the facility for 49 years. During that time the mine was the biggest source of property tax revenue in Eagle County. At peak operation, around 700 people were employed at the site. Many of those miners and their families lived at Gilman, the now-abandoned community that’s perched on the hillside along U.S. Highway 24 south of Minturn. In 1966, Gulf + Western acquired New Jersey Zinc and ran the operation until 1977. At that time, Gulf + Western closed the mill at Belden and halted most of the mining operations. Then, from an environmental standpoint, things got very interesting. In 1983, the mine was sold to Glenn Miller of Battle Mountain Corp. That same year, the state of Colorado filed a lawsuit against the mine’s owners and former owner/operators for environmental damages resulting from the mine operations. In 1984, the property was abandoned, the electricity was shut off and the mine tunnels began to flood. Downstream from the mine, the Eagle River took on an orange hue. In 1986, the Eagle Mine became a U.S. Environmental Protection Agency Superfund site and CBS Operations, the entity that ended up with the property, was charged with undertaking the cleanup at the site. In general terms, the plan called for the removal of contaminated materials from tailing piles and roaster piles located around the mine. Those materials were shipped to a consolidated pile located at Maloit Park, where an impermeable barrier was constructed and a water treatment plant was built. Today the Eagle Mine Water Treatment Plant treats an average of 221 gallons per minute or 116 million gallons per year. During the process, the plan removes 178 pounds of metals per day, which are pressed into filter cakes that are then taken to a lined area at the Maloit Park site. The treated water is then returned to the Eagle River. 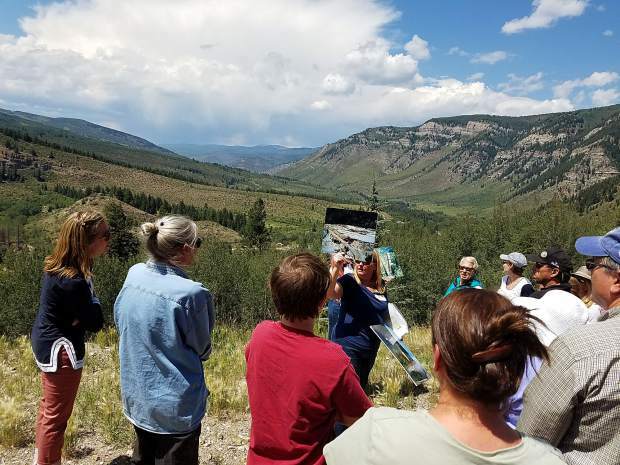 When it was first proposed, the Eagle Mine cleanup plan generated a great deal of concern, particularly among parents of children attending Minturn Middle School. Air monitors were set up around the school and the school district hired its own independent consultant to assess the risks associated with the plan. That consultant reported back that the risk to school children was roughly equivalent to smoking three cigarettes during the course of their lives. 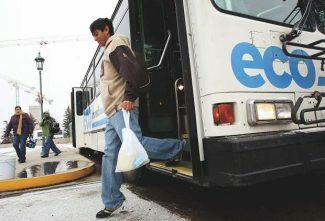 The cleanup operations began in 1988 and continued through 1993. In 1996, the EPA required additional cleanup activities at the site, which were declared complete in 2001. Environmental remediation at the Eagle Mine likely will never, end. 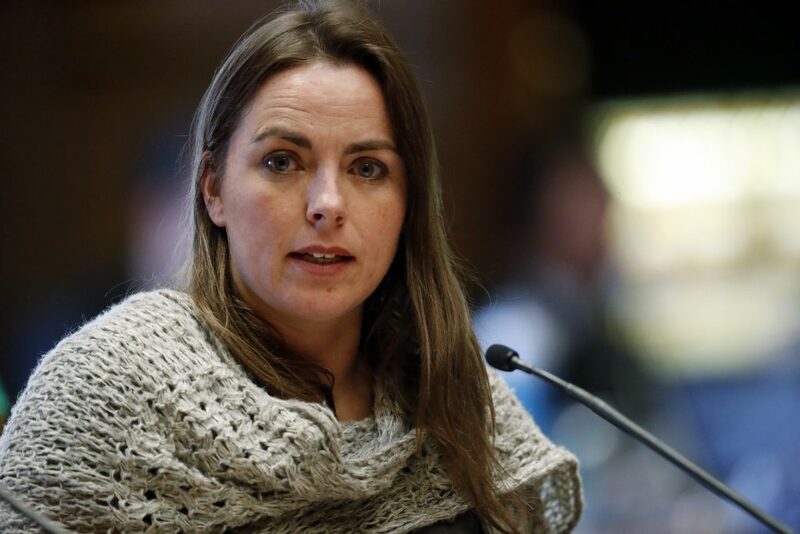 As noted by Wendy Naugle, the project manager for the Colorado Department of Public Health and Environment, CBS continues to pay roughly $1 million per year for ongoing mitigation at the site. The total cost of the cleanup to date approaches $60 million. In 2005, a company called Ginn Battle North LLC began discussions about redevelopment of the North Properties, which would mean the cleanup would have to meet more stringent residential development standards. Those discussions continue. Moving forward, it is the obligation of CBS to conduct long-term operations, maintenance and monitoring at the site. Those obligations will not end once water quality standards are attained. Today, the Eagle Mine and the milling operations at Belden are strictly off limits. The abandoned operation sits behind locked gates with “no trespassing” warnings posted on them. But the water in the Eagle River is clearer and tailings and roaster pile sites around the area now look like green meadows. And the trout are happy. That’s how David R. Hinrichs, senior geologist and partner at New Fields defines success. New Fields is the latest iteration of the company charged with daily monitoring activity at the Eagle Mine site. Hinrichs has worked at the Eagle Mine cleanup since 1985. He remembers when deer used to congregate around the border of the old tailings pile near Rex Flats south of Minturn. The animals liked to hang out there, he noted, because deer flies didn’t like the tailings area. Hinrichs has a map showing 53 different mines located on Battle Mountain. He mapped those sites himself. His years at the site have provided Hinrichs with a unique perspective when it comes to thinking about all the work that has been done. Water quality downstream from the mine affects thousands of humans but the harbinger of those effects swim a lot closer to the source. “The trout are who we are trying to protect. That’s what we want, for the trout to be happy,” he said. Site information repositories regarding the Eagle Mine include the EPA Superfund Records Center Region 8 in Denver, the Colorado Department of Public Health and Environment in Denver and Minturn Town Hall.